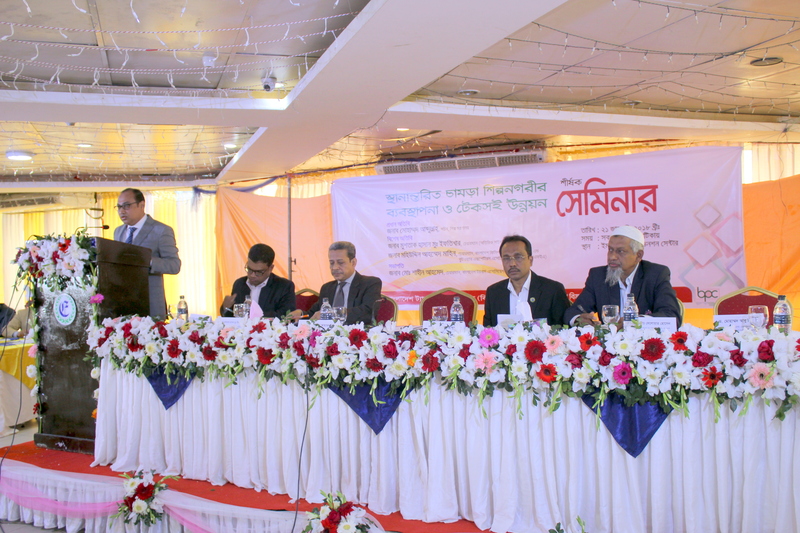 A Seminar on “Proper Management of Relocated Tannery Industrial Estate and Sustainable Development” was jointly organized by Bangladesh Tanners Association (BTA) & Leather Sector Business Promotion Council (LSBPC), Ministry of Commerce, on 21st January, 2018 at 10:00AM at Emmanuelle’s Convention Center (Shimanto Square, 5th floor), Road No-02, Dhanmondi, Dhaka. 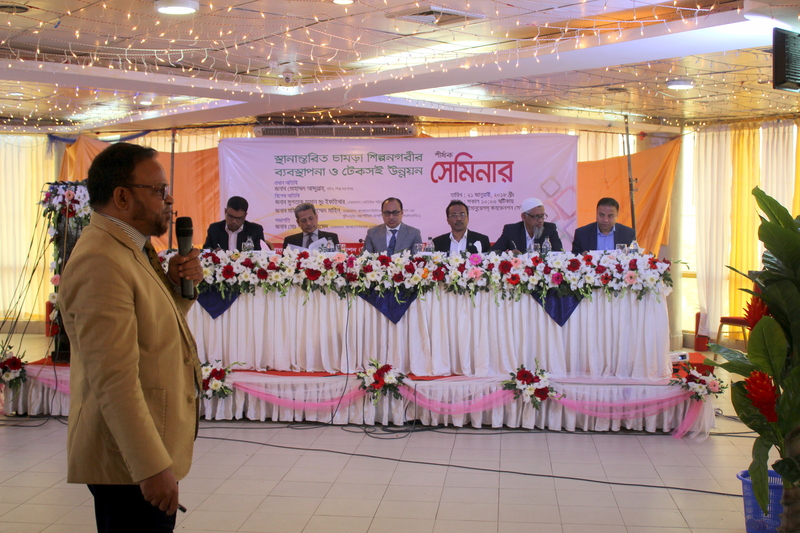 The Seminar was chaired by Mr. Shaheen Ahamed, Chairman, Bangladesh Tanners Association (BTA). 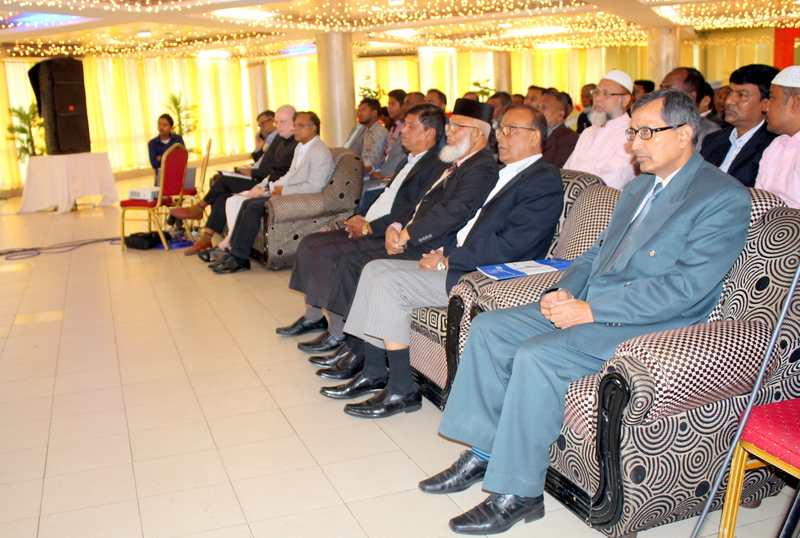 Mr. Mohammad Ziaul Hoque, Project Director, (TIED) BSCIC, attended the seminar as a guest. General Secretary of BTA, Mr Md. Sakawat Ullah was present on the occasion. 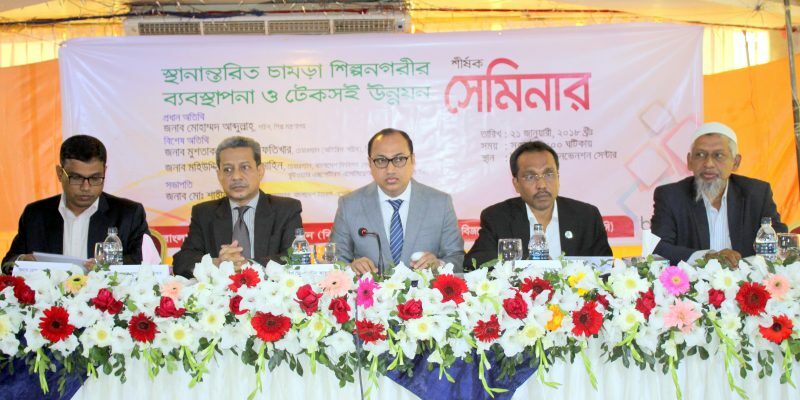 Dr. M. Abu Eusuf, Professor & Chairman, Department of Development Studies, University of Dhaka and Dr. Md. Delwar Hossain, Professor, Dept of Civil Engg. BUET were present as resource persons. Along with others, Mr. Mustak Hassan Md Iftekhar (Additional Secretary), Chairman, BSCIC was also present as special guest. Tannery owners and others were also present as participants.